Life: it’s a cerebral game, are you ready to play? The human mind is the most powerful tool inside our bodies and we can train our brains to garner positive results even when adversity strikes. If you set your mind to it – you can achieve it. Life: it’s a cerebral game, are you ready to play? 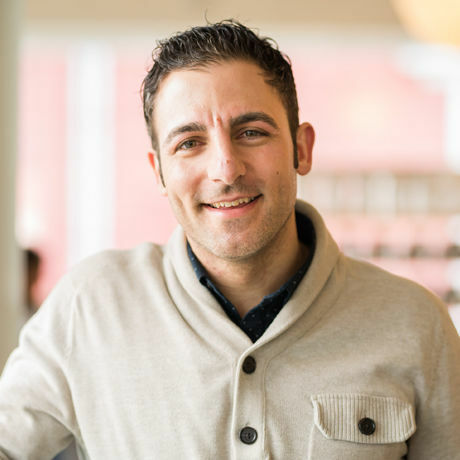 Nick Mirabello a true motivator and storyteller, a New Englander, the Chief Inspiration Officer of MassPay, Inc. Mirabello’s main focus is workplace culture, employee engagement, and most recently tasked to build and lead the company’s future Wellness Division. Back in 2010 Nick built a start-up, facilitating and orchestrating vision board workshops for individuals and companies. Still today the Founder & Chief Igniter of UROCK Marketing based in Portsmouth, NH has presented UROCK workshops and delivered keynotes in 8 different states, involving 50+companies. He takes pride in embracing every community he visits, throughout his career; twice he has been named Community Service Person of the Year. From his ala mater he was presented The Emerging Leader award and the ‘fortitudo et spes’ Courage and Hope award, he carries a sincere drive to make other people’s dreams a reality. He has a zest for life, his first love is baseball, he is constantly trying to find the good in (almost) everyone and everything, he carries a healthy background in creative leadership, managing PR & Marketing teams: from Minor League Baseball –to– Disney On Ice. He is always encouraging others to pursue their passion. His two favorite books: “The Last Lecture” by Randy Pausch and “From Good to Great: Why some companies make the leap…and why others don’t” by Jim Collins. His two favorite movies: “Good Will Hunting” & “For Love of the Game.” Favorite food: anything Italian and often will use bread as his other utensil Nick and his fiancé reside on the seacoast of Maine and he is beyond thrilled to be a part of this Creative Morning Community. The human mind is the most powerful tool inside our bodies and we can train our brains to garner positive results even when adversity strikes. If you set your mind to it – you can achieve it. Life: it’s a cerebral game, are you ready to play? Nick Mirabello a true motivator and storyteller, a New Englander, the Chief Inspiration Officer of MassPay, Inc. Mirabello’s main focus is workplace culture, employee engagement, and most recently tasked to build and lead the company’s future Wellness Division. Back in 2010 Nick built a start-up, facilitating and orchestrating vision board workshops for individuals and companies. Still today the Founder & Chief Igniter of UROCK Marketing based in Portsmouth, NH has presented UROCK workshops and delivered keynotes in 8 different states, involving 50+companies. He takes pride in embracing every community he visits, throughout his career; twice he has been named Community Service Person of the Year. From his ala mater he was presented The Emerging Leader award and the ‘fortitudo et spes’ Courage and Hope award, he carries a sincere drive to make other people’s dreams a reality. He has a zest for life, his first love is baseball, he is constantly trying to find the good in (almost) everyone and everything, he carries a healthy background in creative leadership, managing PR & Marketing teams: from Minor League Baseball –to– Disney On Ice. He is always encouraging others to pursue their passion. Nick and his fiancé reside on the seacoast of Maine and he is beyond thrilled to be a part of this Creative Morning Community.